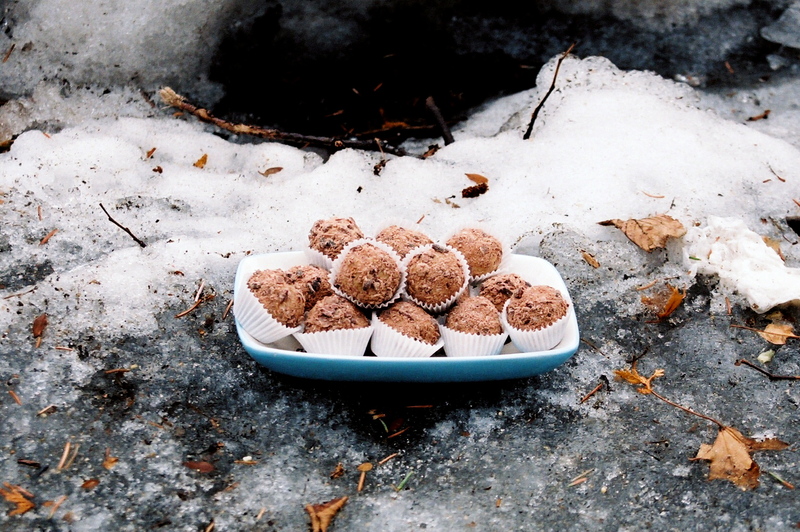 Our Wintry Mix truffles displayed in genuine Boston wintry mix. Here from the Offbeat Bride, BoingBoing, Metafilter, or Neatorama? Welcome! If you're interested in a custom order, including for dice, please e-mail orders@darkmaterchocolatelaboratory.com.